Fancy something a little different to the tiered white wedding cake? To order this cake or a similar creation to your liking, call (07) 3715 6022 or fill out an enquiry form. 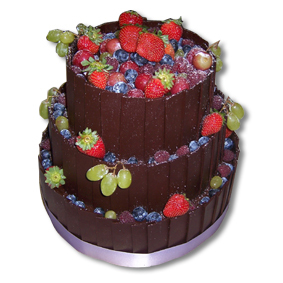 Together we'll create a memorable customised cake made just for your special day!